Cat patterns are famous and admired by cat lovers. Cat patterns are used for craft, art work, clip art, creating stencils, designing etc. 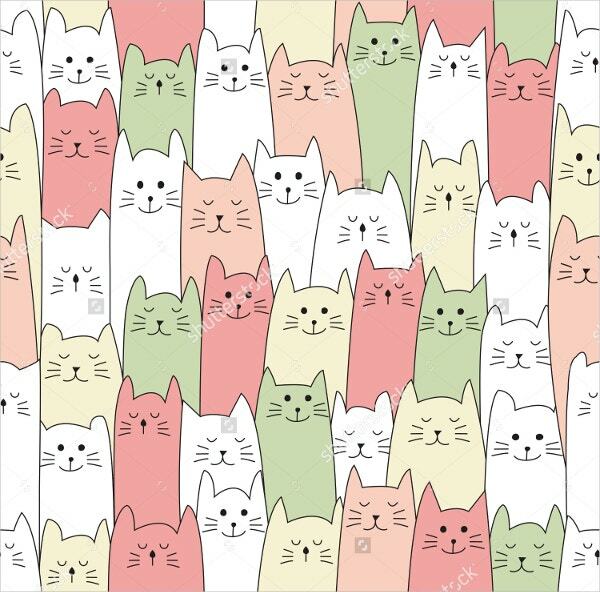 Cat pattern is a vector pattern made by repeating kittens all over, creating a beautiful pattern, for example floating cat patterns, fat cat patterns, etc. 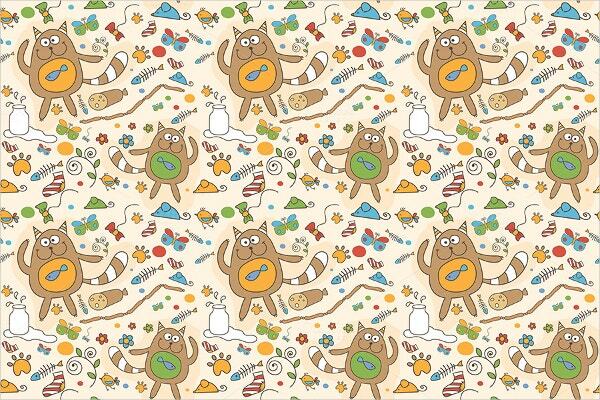 This PSD pattern can have different color cats and can include other shapes and things. 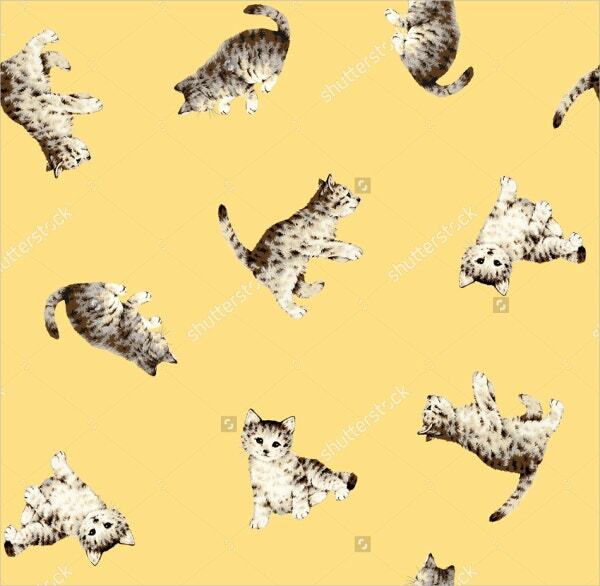 Designs having kitten patterns are quite trending and are used in designing fabrics, phone cases, wallpapers, flyers, and many more. You can also see Leaf Patterns. 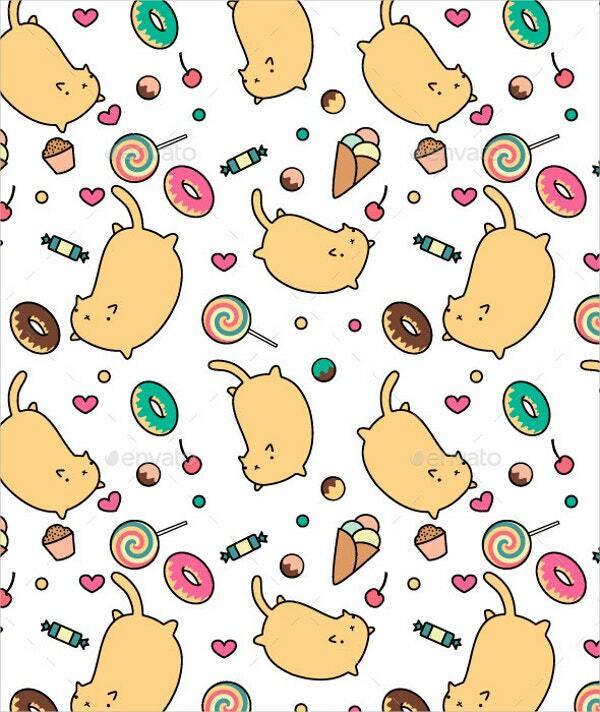 Sweet-Tooth Cat Pattern is a vector pattern of cat and sweets. This cat pattern includes bright colors with cake, candy, cartoon, cat, cherry, donuts, lollipops and cats repeating in a pattern. This is perfect for sweet and cat lovers. You can also see Feather Patterns. 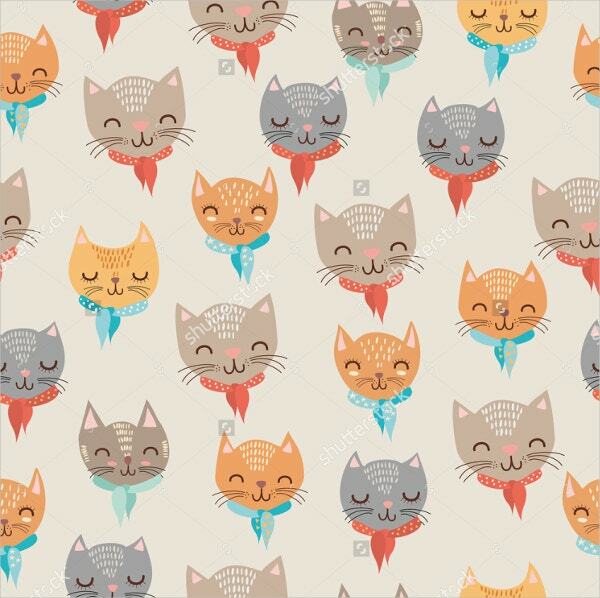 Funny cat Patterns is a vector kitten pattern with smiling cats. This cat pattern includes funny and smiling cats with other items like mice, butterflies, fishes, etc. This pattern exudes positive and funny energy and is prefect for cat lovers. You can also see Grass Patterns. Vintage cat pattern is vector pattern with repetition of cat shapes of the same size and different or same color. This pattern has an old vintage look. This pattern is available in high resolution and can be scaled to any size. You can also see Floral Pattern. 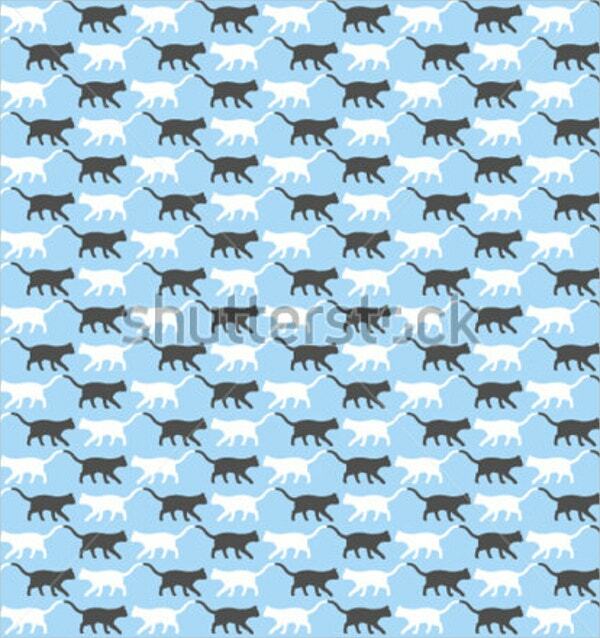 This is a seamless pattern of cats. The cats can be of different shapes and styles, for example, it can be a seamless pattern of funny cats, fat cats, cute little kittens etc. and is repeated in seamless manner. The pattern is available in high resolution and can be scaled to any size. You can also see Grass Patterns. Portrait cat patterns is a seamless vector pattern of cat portraits. This pattern is available in different colors, sizes and textures. This file is available in 12x12cm and 300 dpi. 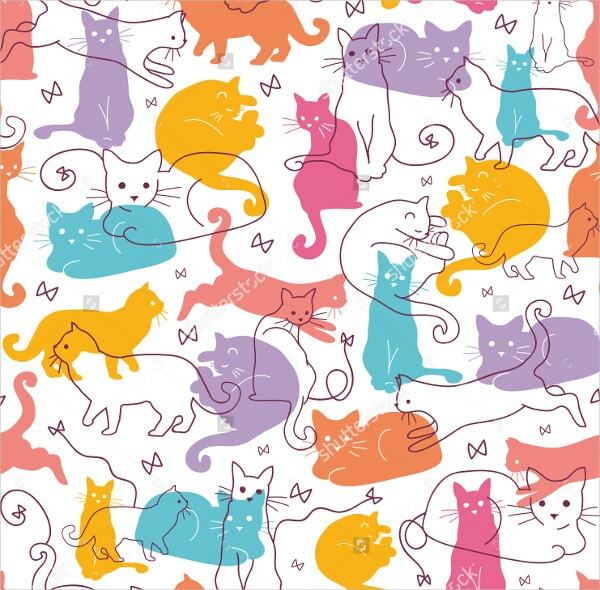 Colorful Cats Seamless Pattern is a seamless pattern of different color cats on it. 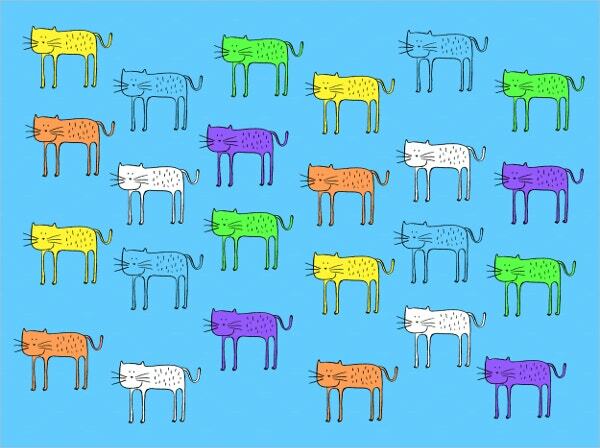 The pattern contains colorful cat shapes. This pattern is both cozy and bright. This pattern is available in high resolution and can be scaled to any size. These are set of different cat vector patterns. These seamless cat patterns are available in high resolution. These patterns are both bright and fun and will be great for your project. This is a seamless pattern of Christmas cats. With cats wearing Christmas outfits, this pattern is to celebrate the spirit of Christmas. This pattern will surely bring smile on your face and will be great for your project with its high resolution and several available sizes. 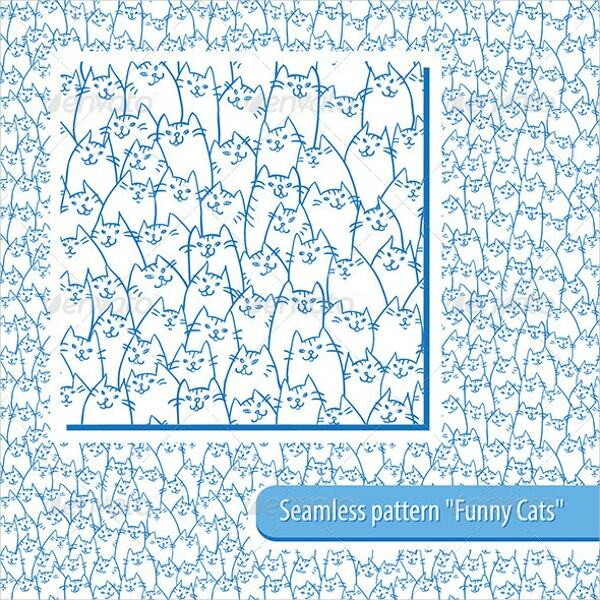 These are cat repeat seamless patterns. 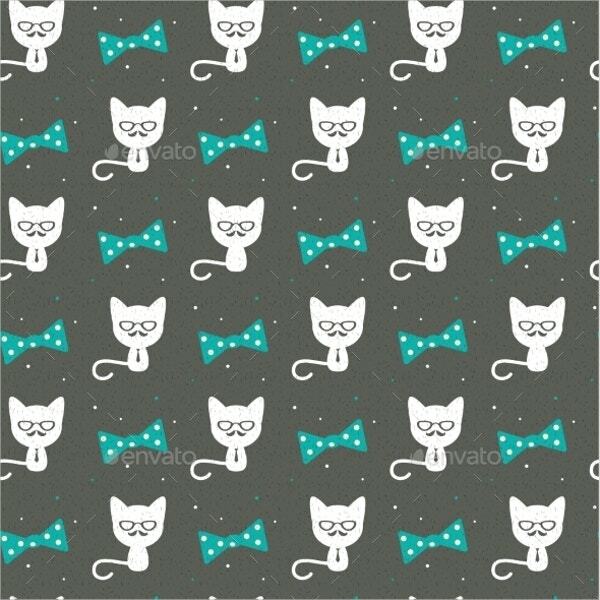 The sketched cat pattern is great for crafts, fabrics, scrapbooking, digital cards, etc. These are JPG files and can be opened in any program. 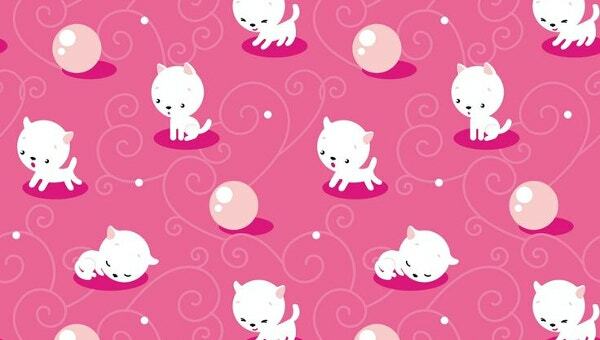 These patterns are repeated seamless pattern of realistic illustration of pretty little kittens. These kitten patterns are both cute and cheerful. These patterns turn into charming wallpapers, cards, fabrics, etc. 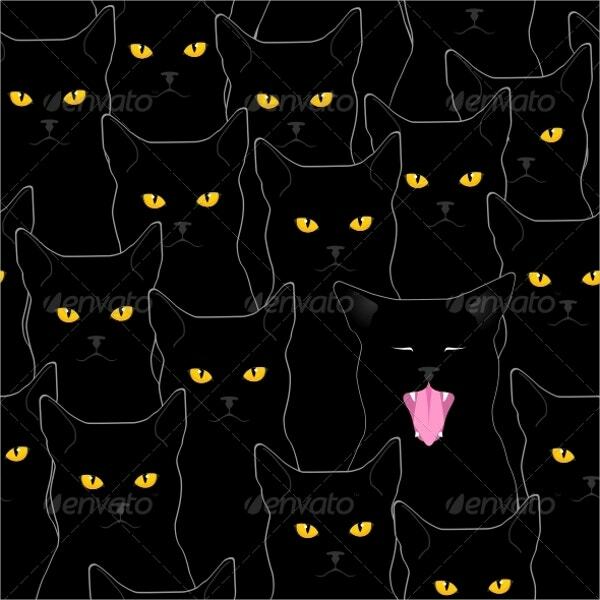 These are seamless patterns that consist repetition of black cats. The cats can be made as if they are staring with a black or white background. These funny and spooky patterns are great for Halloweens. 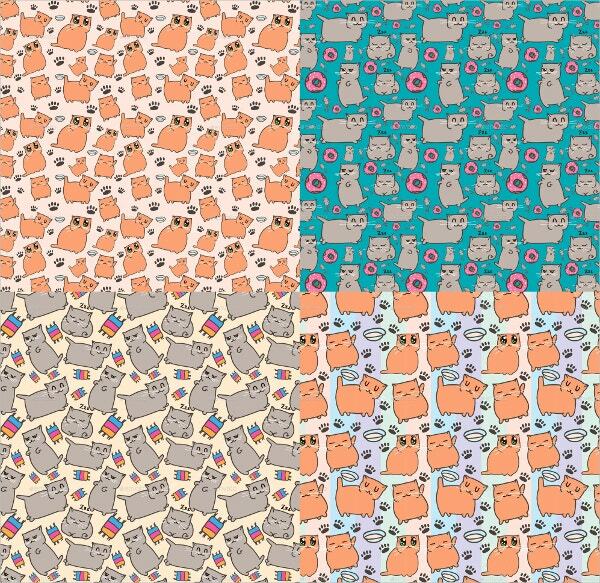 These are seamless doodle cat pattern vector illustration. These patterns can have hand sketched kittens or painted with water colors. Doodle cats are surely funny and entertaining. These patterns are seamless vector illustrations of cats and bows. 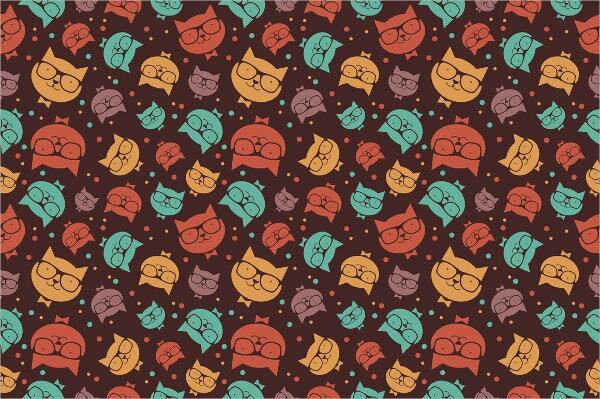 Repetition of hipster cats and bows gives a classy pattern that will be great for your new project. These patterns are available in high quality and several sizes. 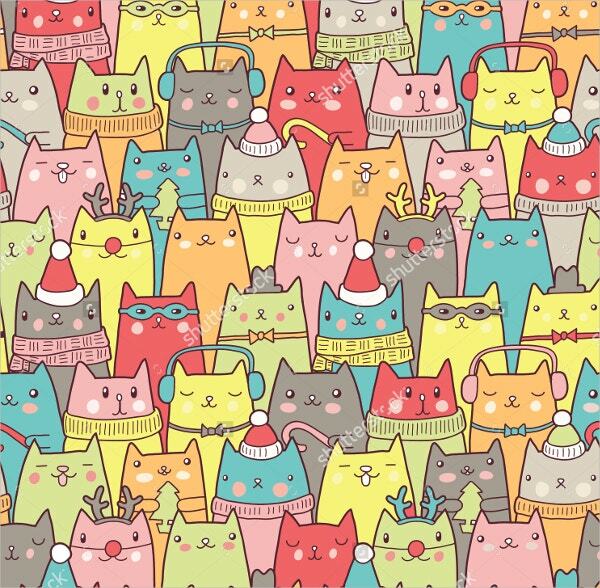 These are Seamless vector pattern with hand-drawn style cats. This hand dawn art is unique and refreshing. The drawn cats can be of different colors to give it an entertaining look. These patterns are easy to download and are compatible with all programs. You can also see Baby Pattern. Animal patterns are always fun and classy. Most of the people like to have animal print fabrics and crafts. Cat patterns are most famous and trendy among all the animal patterns. Especially in countries like Korea, cat patterns could be seen almost everywhere. These patterns are used in fabrics like bed sheets, pillow covers, t-shirts, etc. These are also trendy in crafts, digital cards, wallpapers and many more. 20+ Valentine\\\\\\\\\\\\\\\'s Nail Designs & Ideas!